Davis Facilitators Lawrence and Stacey Smith have assembled data showing reading level gains for more than 360 clients who completed the Davis Dyslexia Correction® program at their center, Rocky Point Academy, in Calgary, Canada. 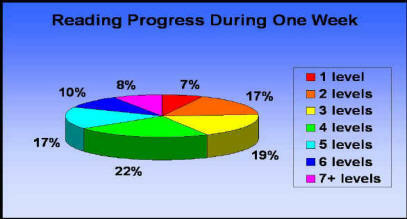 The reading level at the beginning and end of the basic five-day program was measured using the Ekwall-Shanker Reading Inventory during oral and silent passage reading. 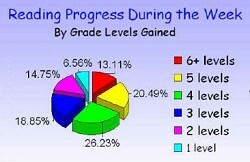 The Smiths’ data shows an average improvement of almost 4 full grade levels in reading. More than one-third of the group showed improvement of 5 or more grade levels; more than three-quarters improved their reading skills by at least 3 grade levels. Many did even better than the statistics show. The Smiths used a test that measures reading ability only up to 9th grade level. About one-third of teenagers and 40% of their adult clients scored above the maximum measurable level at the conclusion of their programs, and thus could not be included in the statistical survey. These reported results are consistent with earlier data reported by the Smiths in 2004, for the initial 120 clients tracked. These statistics negate the myth that it is “too late” to reach children past the primary years. With the Davis approach, older children, teens, and adults tend to progress more rapidly than their younger counterparts. 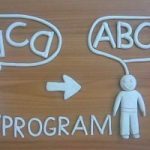 These dramatic gains suggest that the Davis program is effective in a addressing major learning and perceptual barriers that have stood in the way of the individual’s progress for many years. In order to ensure that improvement is maintained over time, Davis clients are advised to continue to practice the techniques learned during the initial program, and to complete the Davis Symbol Mastery® clay modeling tasks. The Smiths’ data confirms that children younger than age 8 are likely to experience more modest gains with a Davis Dyslexia Correction program. While 7-year-olds showed an average improvement of 2 grade levels, younger children will need continued practice and support to become confident, independent readers. Such support is best provided through the Davis Reading Program for Young Learners, which provides a strong framework for mastering foundational skills. The goal of a Davis program is to provide the tools that are needed for lifelong learning. The results reported on this page are averages only. Davis programs are highly individualized and each client will progress at their own pace. Some individuals may experience large gains in reading levels immediately, whereas others may need more time and practice to achieve similar results. Marshall, A., Smith, L., & Borger-Smith, S. (2009). “Davis Program Average Reading Gains.” Retrieved April 18, 2019 from Davis Dyslexia Association International. Dyslexia the Gift website: http://www.dyslexia.com/?p=265. Are there recommendations of suggested things to do after completing the modelling of the 217 words – in order to keep the momentum of improvement going? Marilyn, usually by the time the person has modeled all 217 words, they are reading and writing comfortably at or above the expected level for their age, so we view the program as complete with the 217 words. 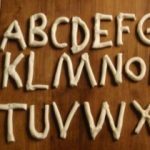 Of course the Davis tools are still there to be used any time — very often students will come back to the clay modeling to master concepts and vocabulary encountered as they move onto more complex subjects and reading in school. Richard Whitehead is the headmaster of a secondary school as well as a Davis trainer and specialist, and his book Why Tyrannosaurus but Not If has some specific ideas and suggestions for using a Davis-based approach to master concepts at the secondary (high school) level. Barbara Hoi’s book Nurturing the Secret Garden: A Guide to Reading Mastery combines the process of trigger word mastery with the text of the children’s classic, “The Secret Garden” — which can provide additional structure and motivation for modeling all the words, as well as consistent reinforcement in seeing how the word mastery related to growing reading ability. My 2 children, aged 11 and 13 at the time, both jumped 6 grade reading levels. 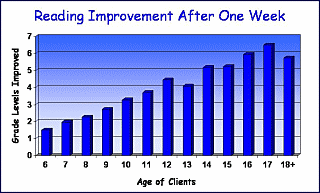 This was measured by other tutoring organizations (Sylvan and a private business) prior to the sessions and then after 2 weeks or so of normal reading tutoring upon completion of the Davis Method one-on-one sessions. This program essentially saved their lives. Both now in their 20s with college degrees.